Take part in Doctor Who’s next adventure with the all-new Doctor Who Companions Set from the Doctor Who Figurine Collection. Anyone know when this is due in at FP? Forbidden Planet have had difficulty with getting the “Companions” from Eaglemoss – I was advised to get the Companion Set #01 (Eleventh Doctor & Amy Pond) directly from Eaglemoss, as FP hadn’t received their stock from Eaglemoss. Eaglemoss are out of stock of this one (although it is available in the US store, but not in the UK one), and I don’t expect to see Eaglemoss get it back in stock! This is not FP’s fault – this is bad service to FP from Eaglemoss, who have not fulfilled their orders…. Agreed! Still don’t know if this will ever be available? 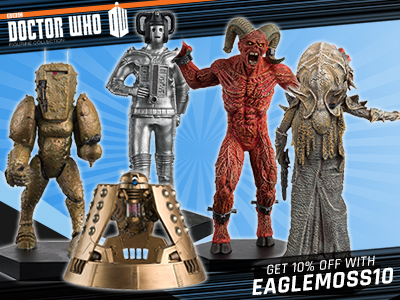 I can only presume that Eaglemoss has no interest in this Companion Line, as I’ve never seen the first 2 sets for sale except ebay at silly prices! Ordered this off Eaglemoss way before Christmas and I still haven’t had a dispatch E-Mail. Should I start being concerned? Could just be a back log of orders. You could try ringing them. Don’t email it could take them days to reply. If you ring them you could be on the phone waiting for over half an hour. I contacted them and they said it has sold out and offered me a refund. I replied and said it is really bad customer service as i ordered it ages ago and people have had theirs who ordered after me. I use email to contact them. Post could always ‘go astray’ and unless you record any phonecalls yourself then there’s no record of you getting in touch. Any emails sent get an automatic acknowledgement – then you wait for a response. Sometimes they only reply to one small part of the query. eg I pre-ordered this twinpack as well. Nothing arrived. Ordered it again once it was available on the website as part of an order of other items. That second order arrived but the first pre-order has still not appeared. Contacted Eaglemoss and was told they’re waiting on stock. Still no update on when this set is going to be dispatched. 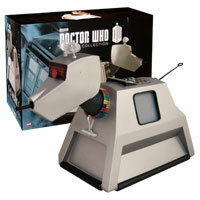 I’ve got a text to say my Eaglemoss delivery is coming and I think it must be this! In november now and this set is still not released. By the time it is released it be Christmas. assuming we can use it now, what’s the standard discount code again? 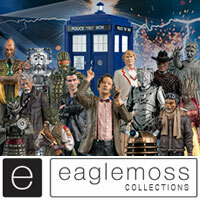 Eaglemoss have said Rose and 10 are from the angels take manhatten. To me looks like parting of the ways. Yet again eaglemoss have moved the goal first they say released 25.10.18 now say expected nov 18. Does anyone else think it is totally pointless to add your email to their list & then they never bother to send an email saying it’s available? Looks like EM want their money’s worth out of us for sure. Nowhere to put 15% off code in , a bit nasty to do that imo. With the other offer on its gone at the moment. They always take the discount code box away when they have a spend and save offer on otherwise you would be able to use them both. 8th and grace would be great. link works but if you go via eaglemoss shop item is not listed. Thanks showing on phone, but not pc earlier. 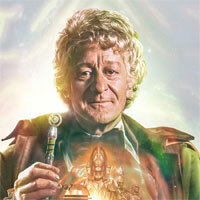 I don’t think they will give us another Rose…I would imagine we will get 9th Doctor with Jack. I don’t know how that leaves Donna and Martha…unless we get 2 more 10th Doctors in blue suit/blue suit and coat or with adipose or some episode related gadget? 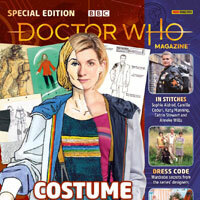 They could always do Ten in his blue suit with say glasses or some other object/device with Martha & Metacrisis Ten with the gadget he has in Journeys End to go with Donna. Excellent! Now I just need S7 Eleven/Clara and S9 Twelve/Clara, and I’d have all the Doctor/Companion sets I need. Though I wouldn’t mind an Empty Child Rose with another Nine. I’m not saying what I think will happen, I’m saying what I want to happen. I’d think the Companion Sets are driven by the companions they want to do, not limited to ‘only one alternative variant per Doctor, so if they want to do Clara with Twelve then ‘they have no plans for Bill’. 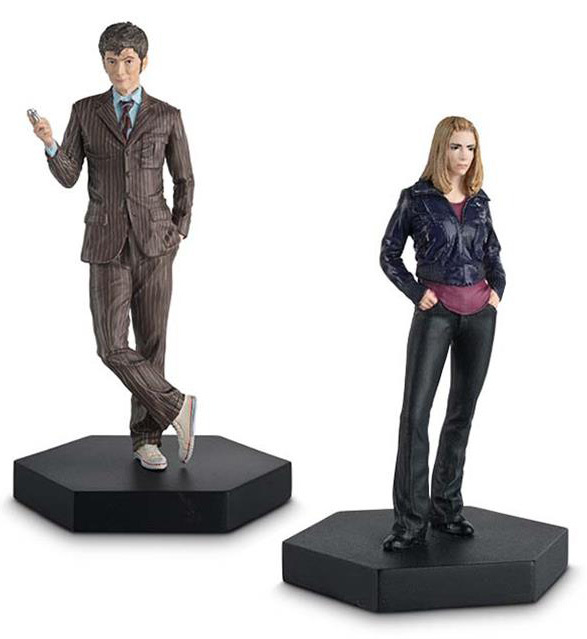 If they want to do Clara and Bill, I’m sure they’ll just find a 3rd Capaldi outfit to make a figurine of (e.g. red coat S9 with Clara, maybe, and hoodie version from S10 with a Bill?) Or have they actually said ‘no plans for Bill’? Twelfth Doctor and Bill is happening. 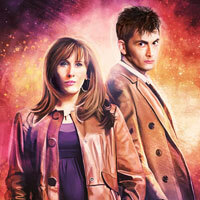 So what happened to the Fourth and sarah jane companion set?, Is that next in line? That one is still happening. You assume the collection will last long enough for that to be a problem, and that they’ll not switch over to doubling up companions, and that they aren’t more concerned about running out of Eccelston costumes. Well he did say ‘I,ve changed my jumper’ to Rose in The empty child and of course theres Rose in her union jack top from very same story. 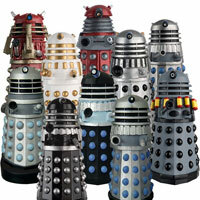 I would prefer these if they didn’t lump another Doctor in with each one. They probably know that Companions aren’t going to sell as well as monsters. 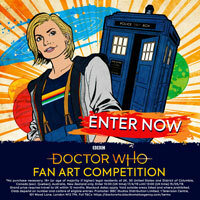 Nice one.very nice surprise coming so soon after matt smith and Amy pond. I only just hope it doesn’t get put back for a month like the last one.fingers and everything crossed. So if he gets Rose, what companion does Eccleston get? Mickey Smith? Captain Jack? Another Rose I think, judging by what Neil Corry was saying about Billie and Chris’ costumes. I hope for Jack ! Why is Ten from Day of the Doctor? 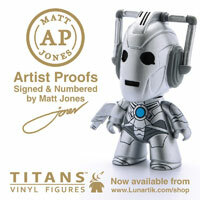 Is it available on Forbidden Planet yet? 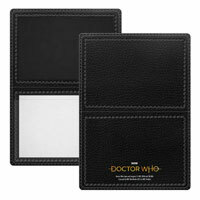 Why they make hard to order love this set why can we have them on direct debit. Not sure why these are £2 more per figure that the regular figurines. Oh Yes!! Can’t wait for this. Is this before or after four and Sarah Jayne?